Australia is blessed to have so many days of sunshine however over exposure to the sun can increase our risk of skin cancers. 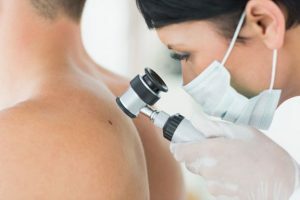 At First Point Medicals we are passionate about regular Skin Cancer Checks which aim to detect any abnormal changes early. Early detection improves the rate of success of treatments and can sometimes mean less invasive treatments are suitable. General public, especially those over 40 years old, should check all areas of their skin (not just sun exposed areas) for any new or changing pigmented lesions and seek medical advice if concerned. Everyone should know what their skin looks like so they can detect any changes. Outdoor workers should especially check their skin regularly.